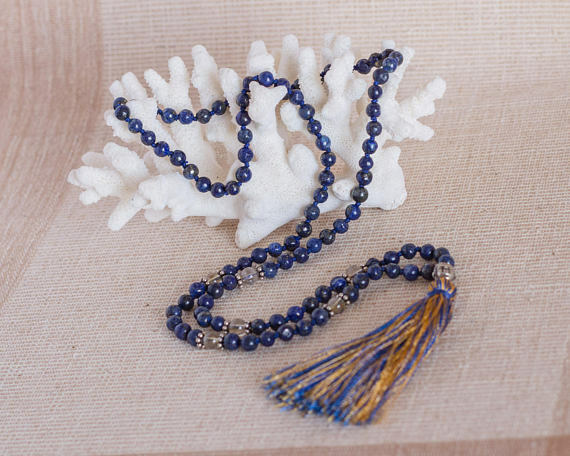 The Spirituality Mala has 108 prayer beads of beautiful Lapislazuli and Rutilated Quartz semi precious gemstones beads. 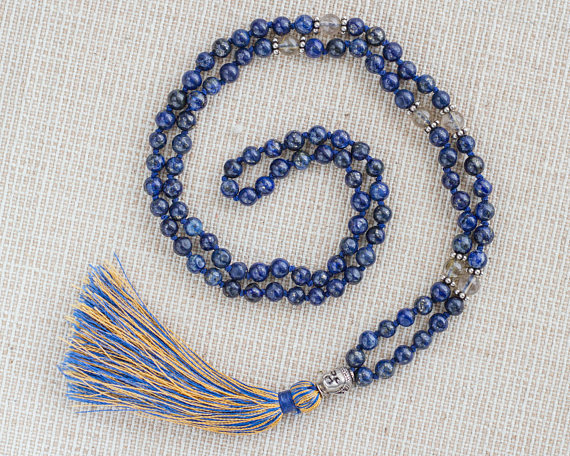 A handmade silk tassel is attached to the large main bead, Buddha’s head, known as the Guru bead. 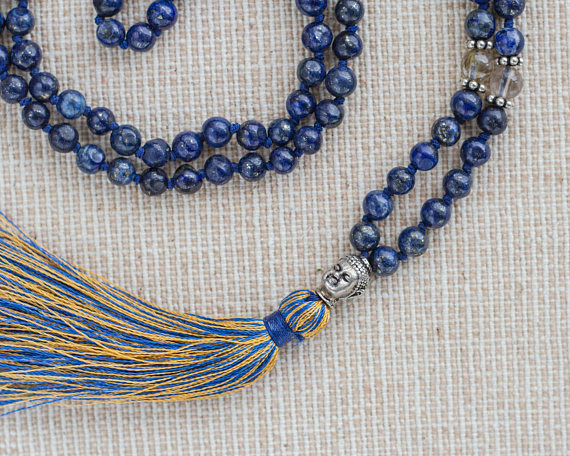 Lapis Lazuli opens the third eye, stimulates enlightenment and enhances dreamwork.